Genetic changes that help lung cancer thrive also make it vulnerable to a promising experimental drug, according to a study led by researchers from Perlmutter Cancer Centre at NYU Langone Health, and published online in Nature Medicine. Specifically, the study found that mutations in the DNA code for the gene KEAP1 help lung adenocarcinoma cells counter a process called oxidative stress, in which molecules known as reactive oxygen species (ROS) are created as a side-effect of ‘burning’ fuel to make energy. Cancer cells need extra fuel to support abnormal growth, produce more ROS, and depend more for survival on naturally occurring antioxidants that keep ROS from damaging cell parts. The new study confirmed that mutations that weaken KEAP1 function lead to greater production of antioxidants that cancer cells need to thrive. It also found that KEAP1 mutations create vulnerability in cancer cells when combined with mutations in the gene KRAS, which cause cancer cells to multiply aggressively. 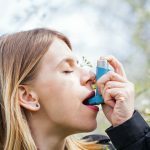 The vulnerability found by the new study reflects the ability of lung adenocarcinoma cells to use extra fuel sources in support of abnormal growth. Along with the blood sugar that most cells use, cancer cells also break down a compound called glutamate to make energy. At the same time, such cells also expel glutamate as part of a process that supports the building of antioxidants. Importantly, cancer cells cannot both break down for energy, and expel, the same molecule of glutamate, say the study authors. Recognising this ‘competition’ for glutamate as a weakness, the research team showed that the experimental drug CB-839 stopped tumour growth in mice with KRAS and KEAP1 mutations by cutting off their glutamate supply. Because adenocarcinoma cells with KEAP1 mutations used up so much glutamate to enable antioxidant production, they did not have enough to fuel aggressive, KRAS-driven growth. Consequently, they starved. Thales Papagiannakopoulos, PhD, Assistant Professor in the Department of Pathology at NYU Langone Health. To make their discovery, the research team used the revolutionary gene editing system called CRISPR-Cas9. Using a virus to introduce this system into mouse lung cells, the investigators made their desired genetic changes in months instead of the years needed for conventional gene targeting. The team disabled the KEAP1 gene in lung cancer cells that already had KRAS mutations, and metabolic tests confirmed the glutamate supply vulnerability this process created. Drug screens subsequently revealed that the Phase I clinical trial drug, CB-839, might be especially useful against cells with this combination of mutations. Moving forward, Dr Papagiannakopoulos says that he has approached Calithera, the company developing CB-839, about the possibility of testing whether the drug is more effective in patients with KRAS and KEAP1 mutations. Beyond lung cancer, a second study published by the same team in the journal, eLife found that KEAP1 mutations might also make glutaminase inhibitors such as CB-839 more effective against other cancers, including melanoma, bone cancer, kidney cancer, urinary tract cancer, and colon cancer. KRAS and KEAP1 represent just two on the team’s list of the 18 most commonly mutated genes in lung adenocarcinoma. The researchers plan to work down the list, confirming the contribution of mutations in each gene to cancer cell survival, revealing related metabolic dependencies, and screening for drugs that may leverage them. 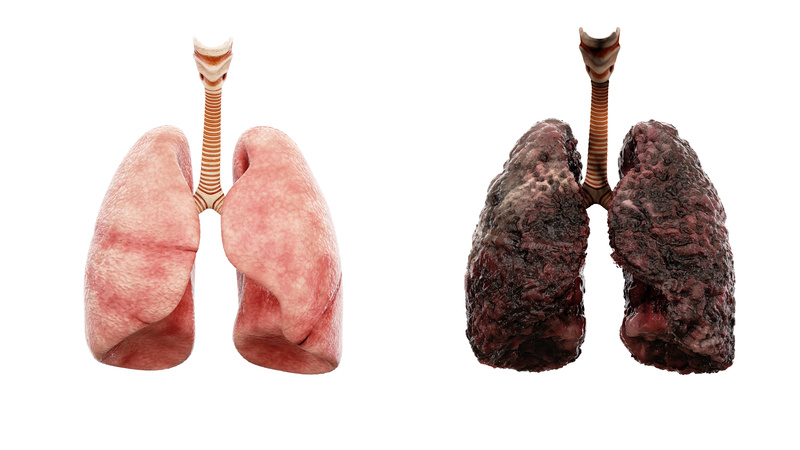 About 222,500 new cases of lung cancer are diagnosed each year, according to the American Cancer Society. About 40 percent of lung cancers are adenocarcinomas, which start in cells that would normally secrete mucus. Adenocarcinoma is one type of non-small cell lung cancer.